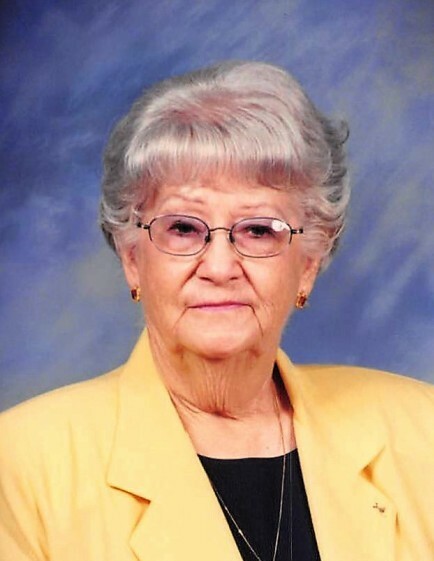 Mona Jean Fowler Watkins, 96, of Jonesboro, AR died January 20, 2019. She was born on April 26, 1922 in Sharum, Arkansas to Richard Gaven Fowler and Grace Wells Fowler Caradine. She is survived by her son; Barry Watkins and daughter-in-law Anna of Jonesboro, grandson; Andrew Watkins, granddaughter; Julianna Watkins Weinmann, four great-grandchildren, brother; Larry Wayne Caradine of Beebe, niece Kathy Fowler Mars of Fayetteville, AR and her daughters Lori and Lindsey Mars. She was a member of West Side Church of Christ. She later attended South West Church of Christ after her health failed and she moved to Jonesboro, AR. She was a loving mother, grandmother, great-grandmother and friend who will be dearly missed. In addition to her parents she is preceded in death by five brothers; Vohn Fowler, Ray Fowler, Boyd Fowler, Jim Caradine, and Billy Caradine.